The stock of John Menzies Plc (LON:MNZS) is still amongst investors’ favourites although the slight decline of the share price today. Yesterday, MNZS has been in the list of Top 10 Fallers on the London Stock Exchange to close demanded at GBX 540. There was nothing strange in the stock performance since it has been inspired by investors’ almost constant positive mood not only recently. 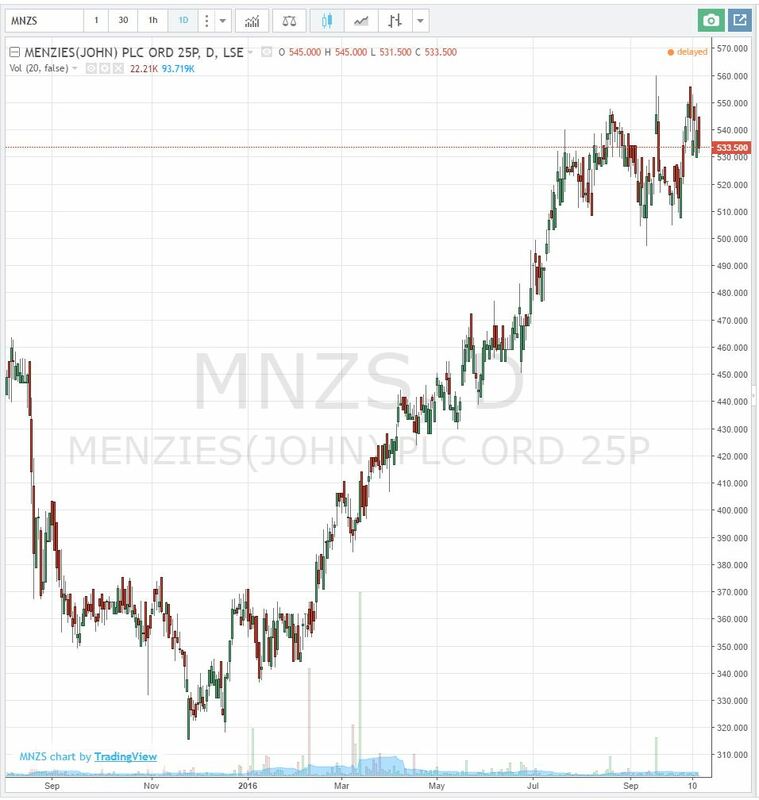 The price chart of John Menzies’s stock shows continuous upward trend within one-year time frame. On today’s date last year, MNZS was worth GBX 410.50. The simple calculation of the ratio Return on Investment shows that investors who acquired company’s stock at today’s date last year can count 31.15 % increase in their profits as of October 13, 2016. Observations of the stock performance within a year may, possibly, only rise willingness to keep MNZS as a mid and long term winning position. Not only the company’s stock may be a base for the positive investors’ mood. If we continue with the due diligence on John Menzies Plc we should mention some facts with a strategic for the company meaning. These developments influenced the brilliant performance of company’s stock too. Within one-year time, the company announced few directorate changes. In mid-march has been announced the appointment of Paul Baines as a Non-Executive Director. Two months later, John Menzies Plc publicized that Iain Napier, Chairman wish to retire and will step down following the conclusion of the Annual General Meeting on 20 May 2016. In July, Dr Dermot Smurfit becomes Chairman of Menzies. Dermot Jenkinson becomes a non-executive director assuming the position of a chairman on an interim basis following the retirement of the previous chairman Iain Napier. August attracted investors’ attention with the company’s half year results for the six months ended 30 June 2016. Despite the slight decline in profits John Menzies Plc reported an affirmative first half. The news about the $202m acquisition of ASIG Holdings Ltd and ASIG Holdings Corp (ASIG) in September created favourable conditions for a new upward move of MNZS. As stated by the company, the deal will be “funded through £75 million fully underwritten equity rights issue and new debt package comprising a $250 million term loan and a £150 million RCF, which will also replace existing indebtedness of the Group”. On 27 October 2016 it is expected results of the Rights Issue to be announced. Today, minutes before the trading session end the share price of John Menzies Plc is GBX 535.50 recording only 0.83% decline. John Menzies Plc is a registered in Scotland and based in Edinburgh company, operating in two segments: Distribution and Aviation. All content is for informational purposes only and the information herein should not be accepted as a financial advice or recommendation to buy or sell shares and or any financial products. The content herein expresses the views of the author and Do Not Intend to inspire special attitudes towards any of the companies, share prices and teams or persons mentioned here. Click here to read the entire text of the Disclaimer. Both, my economics background and over 12 years’ experience in the fields of finances, financial online journalism and management provide me with an exhaustive ground for passionate work in the fields like new markets development, financial content writing and analyses. Recently I’m dedicated to interpreting, translation services, web design, financial content writing and digital consultancy. 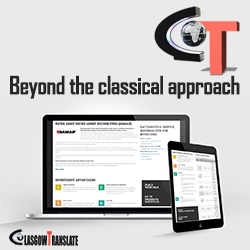 The content of this blog is devoted to the Scottish capital market and Scottish listed companies. Read most recent news, some basic analyses and share your views about Scottish publicity traded companies.